Original graphite drawing overlaid in pen and ink and black and white watercolors. Created for Pearson's publication of Vignettes of Portsmouth, New Hampshire. 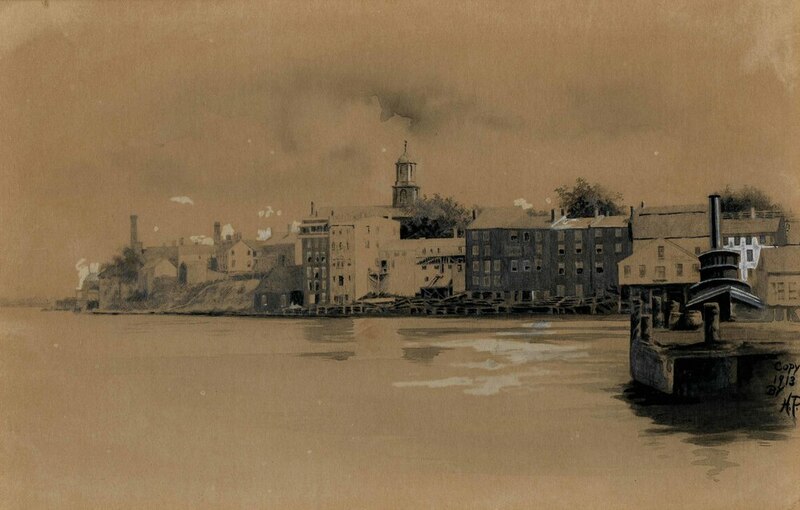 ~ Helen Pearson, “Strawbery Banke and St. John's Church,” Portsmouth Public Library's Online Archives, accessed April 23, 2019, http://portsmouthexhibits.org/items/show/1873.